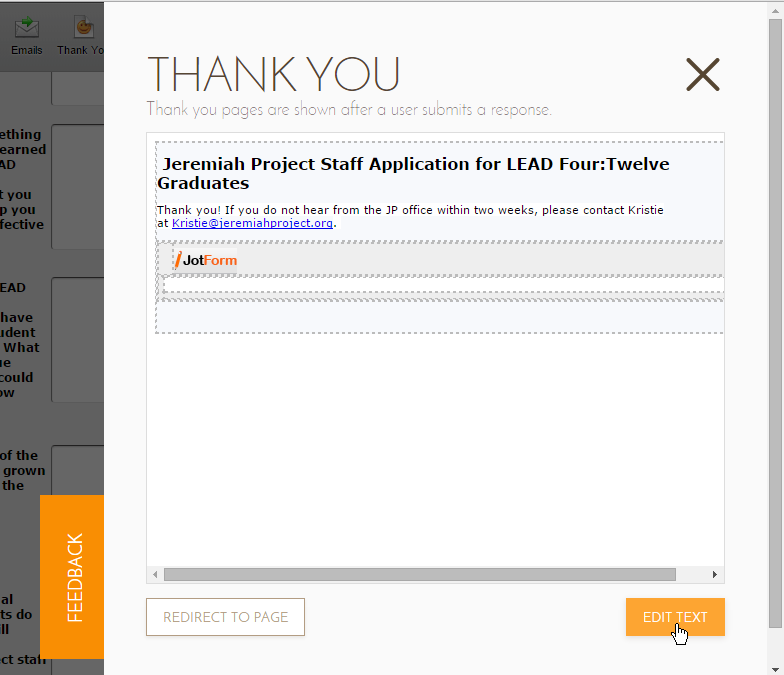 When I change any questions in my survey the "Thank You" Automated message does not seem to update to coorespond with the changes that I make . Do I have to update this form each time? Is there a simple way to make this happen? If you delete or edit the fields it won't automatically change or update the "Thank You" message page. You need to hard code the tags directly there. 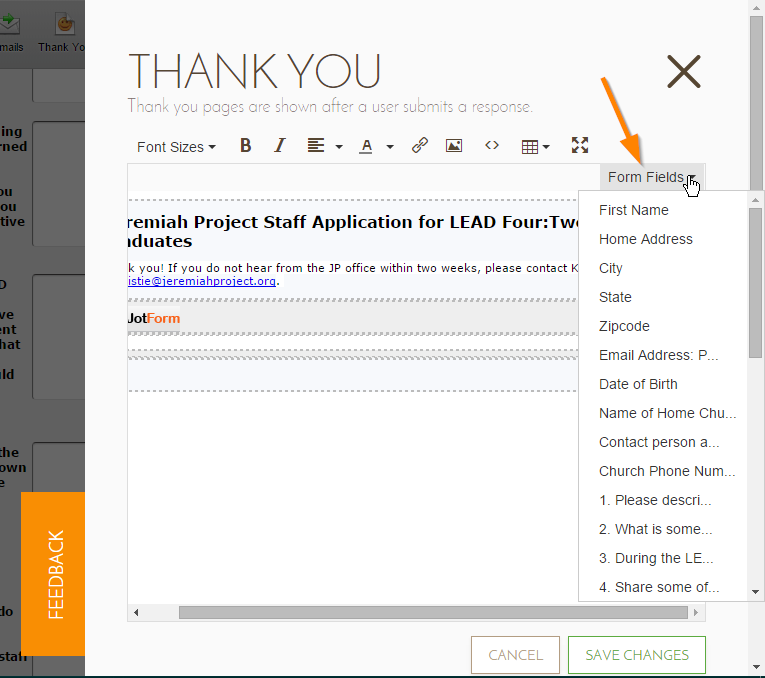 You can get the updated or correct field tags by clicking them under the "Form Fields" dropdown option in the editor.